Currently shows total all-time profit. Would be really great to be able to see the result of trading decisions not only based on current exchange values (unrealized gains), but also to see the sum of all realized profits/losses for each coin. After all what have you been said there is nothing I can add more, please add this feature. In a Portfolio I buy a coin with BTC for the first time. I sell at 5%. I then buy it again. The portfolio tells me I am at say 3.54% profit but when I go to Transactions it shows me that this transaction is at 0.45%. It seems to be showing me an average from both the trades even though I sold that first one back to BTC. The docs say that All Time profit / loss for a single coin is "All time profit/loss (in absolute) = Total market value + Proceeds - Sum of all costs (from all purchases)"
Can we have an option that allows me to display only the profit of the coins I own now? Yes, I'm also desperately waiting for this. Hi Devs, First of all you guys rock! Currently you show the total profit a coin has made from when it was bought. However if part of the coin has been sold then that part of the profit has been realised or transferred and you should only show the profit of the remaining portion of the coin. The value you show now is wrong and misleading. Please add the realized/unrealized part of profit and loss. Currently showing as All time profit/Loss. It would be really helpful if we can know how profit/loss we have already realized and how much profit/loss we are currently at, for each coin. Is this information not available on each single transaction record? I can not use this app if I can not have statistics on open positions, I trade on those positions. I hope we can add this feature as soon as possible. Any updates on when this is going to be added? IMO, this is very important as it is a quantity referred to by many regular traders. Without this your app is simply not giving "pro" users the ability to use your platform. Yes! This really annoying, pls add this option! Lets get this simple feature in the queue. 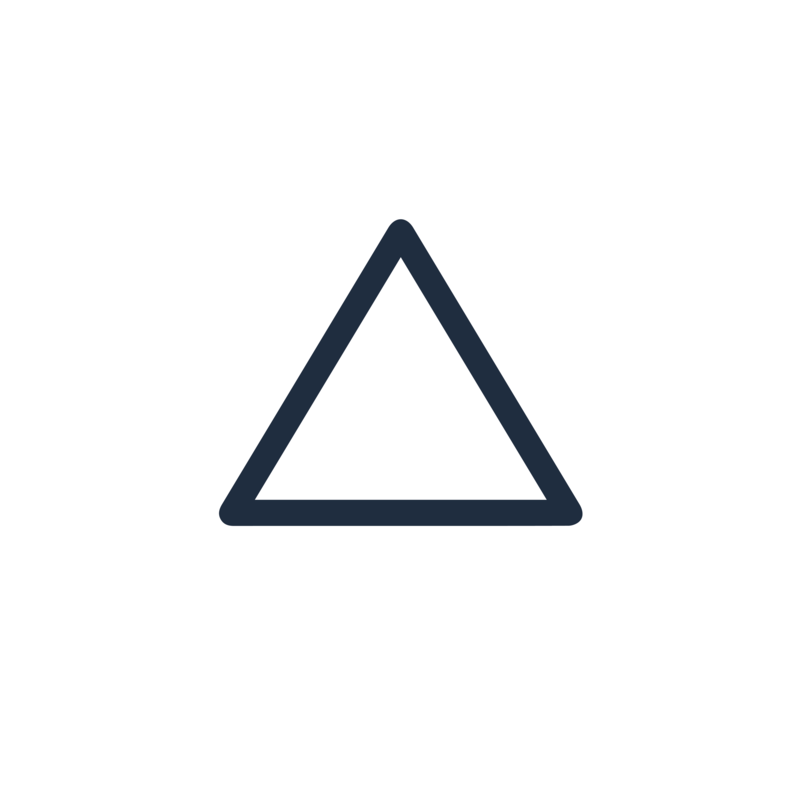 Delta is great for a HODL but falls flat for traders. This is great step to improve it! Yes, Please add this. It is very difficult for someone like me who day trades to keep track of my profit, on a daily basis if all of my previous holdings are merged with my new one. I think everyone would love this feature. Yes. I would like to switch over to Delta as it seems to have a few features. But because it doesn't show "realized & unrealized gains", I still have to use "Cointracking.info" for Tax. Moreover, I always deposited new money using ETH on binance. These deposits show up in the all time profit of ETH, which is obviously not the case... Even though these deposits are categorised as a deposit... Anyone else has this problem? Could we have a view with the unrealized and realized Gain / Loss (% and values BTC, $, €) in order to see the effectives gains or loss and not only the total amount of our portfolio? Introduce "realized profit" and "unrealized profit" ! a very old request that I keep on hearing you are going to release but that I can never see: your all time profit is very misleading because it does not take into account profit already realized versus profit unrealized. Could you then get rid of this extremely annoying notion of all time profit and replace it with: "realized profit" and "unrealized profit" ! I bought ~2 BTC of MTL in Jan and Sold all in FEB for 33% profit. I want to track my current MTL investment profit, not all time profit. The app should realize this because I SOLD ALL, so why show the profit based on old history when I only have coins from the new purchase. i hope you understand what i am suggesting. 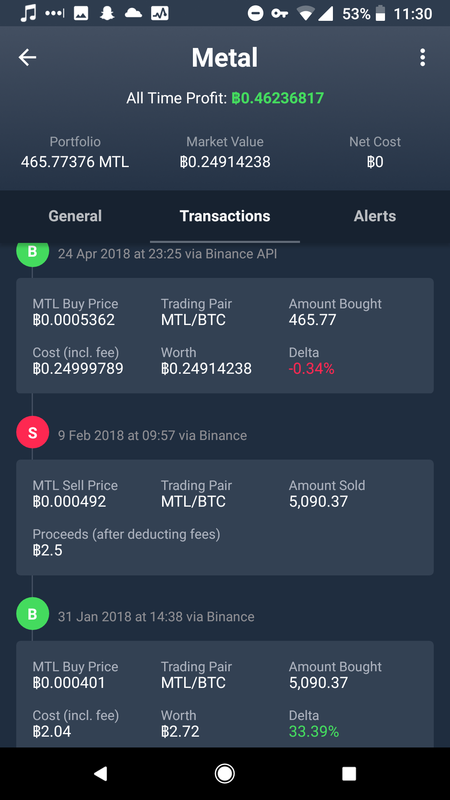 I shouldn't have to click on MTL each time to track the gains from the latest investment, it should show me accurate information in the overall when i open the app and see all my investments. this one is good. Its hard to see how you current buys are doing. This is a must feature for Tax Reporting. Otherwise can't be used for Tax. Absolutely. As a swing trader I am only concerned with Profit/Loss on current holdings. If I made 30% on a trade last week that's great. But if I sell all and enter another swing trade 2 weeks later... my average buy price includes my previous buys which I no longer own. So.. we are back to excel until Delta can have a All Time Avg. Buy/Sell Price and Current Holdings Avg. Buy/Sell. Gentlemen... lets get this simple feature in the queue. Delta is great for a HODL but falls flat for traders. This is great step to improve it! Definitely need a holdings% tab next to the all time and 1day that shows current holdings profits. All time should show all the profits for sold coins not including current holdings. yes, would be nice to see the realized profit in your app. At the moment I'm using excel but would be much appreciated if I could see this within the app. HUGELY important feature arguably the most important for tracking. I also noticed. I always calculate it by myself on Excel. Yes please I need this too. I now still need to calculate this information in excell, like averge price of current holdings and delta. at the top of the portfolio overview screen. Agreed. I would love to see the current profit of the current coins I hold, not from previous trades. Perhaps an "overall profit" and "active profit" toggle might be suitable. Same thing if you buy a crypto, sell it completly, and buy it again !